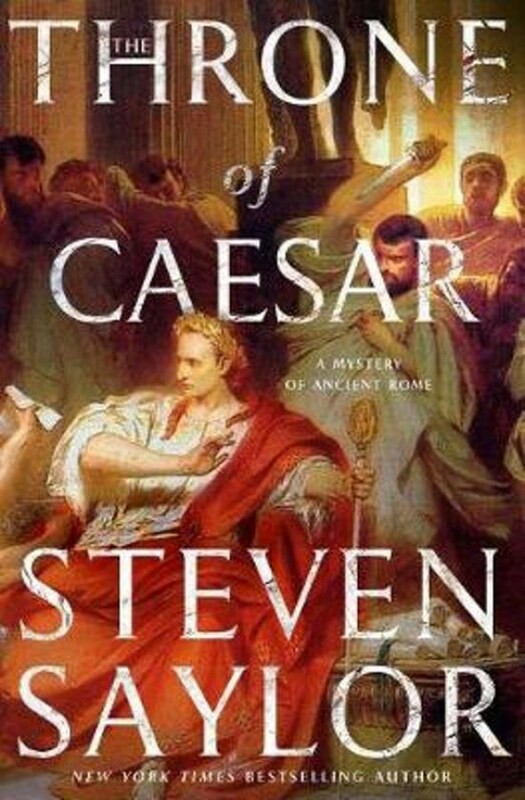 In The Throne of Caesar, award-winning mystery author Steven Saylor turns to the most famous murder in history: It's Rome, 44 B.C., and the Ides of March are approaching. Gordianus the Finder, after decades of investigating crimes and murders involving the powerful, has been raised to Equestrian rank and has firmly and finally decided to retire. But on the morning of March 10th, he's first summoned to meet with Cicero and then with Caesar himself. Both have the same request of Gordianus—keep your ear to the ground, ask around, and find out if there are any conspiracies against Caesar's life. And Caesar has one other matter of vital importance to discuss. Gordianus's adopted son Meto has long been one of Caesar's closest confidants. To honor Meto, Caesar plans to bestow on Gordianus an honor which will change not only his life but the destiny of his entire family. It will happen when the Senate next convenes on the 15th of March.